PennsylvAsia: Pitt still hiring Assistant Instructor of Korean for Fall 2019 start. Pitt still hiring Assistant Instructor of Korean for Fall 2019 start. The University of Pittsburgh's Department of East Asian Languages & Literatures has reposted for a second time its advertisement for an Assistant Instructor of Korean position that begins in Fall 2019. 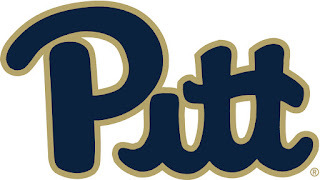 The Department of East Asian Languages and Literatures at the University of Pittsburgh (http://www.deall.pitt.edu) invites applications for an Assistant Instructor position in Korea studies, pending budgetary approval, beginning September 1, 2019. The position is non-tenure stream with the possibility of renewal for a multi-year contract. The successful candidate is expected to contribute significantly to the Korean language program and teach language courses on all levels. The successful candidate should hold an MA in teaching Korean as a foreign language or in an allied field, possess native or near-native competence in all skill areas of Korean and English, and have at least one year of teaching experience at a North American institution of higher education. The new hire should be prepared to teach classes for both undergraduate and graduate students. Instruction to graduate students may involve PhD and MA students whose focus may be on literature, history, art history, religion, anthropology, etc. Preference will be given to candidates who possess linguistic knowledge of the Korean language, and who demonstrate familiarity with theories in second language acquisition and current practices in Korean pedagogy in North American higher education settings. Any expertise in non-language areas such as film, popular culture, literature, etc. will be a plus. Duties include teaching both recitations and lectures of language courses as well as working closely with the language coordinator to contribute to the overall effectiveness of the Korean language program. The appointee should expect to collaborate with Asianists in other units (e. g., the Asian Studies Center) to promote Korea studies. The new application deadline is December 10; additional application details and requirements are available on the job posting.